Z2K was founded in the 1990s by the Reverend Paul Nicolson and a small group of volunteers, who were deeply concerned about the impact of the Thatcher Government’s ‘poll tax’ on the country’s poorest residents. The poll tax, or Community Charge as it was officially named, demanded a fixed payment from every adult – regardless of income or circumstances. The injustice of charging those too poor to pay spurred the volunteers to campaign against the tax. 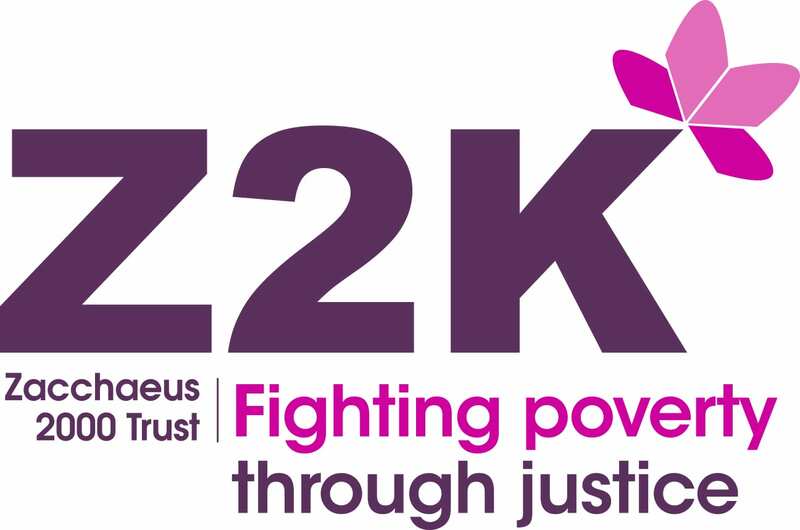 Alongside McKenzie Friends and others, the Z2K volunteers defaulted on their tax payments in protest against its unfairness, and set about helping those struggling with low incomes. They soon expanded their work to support people facing a range of challenges who had fallen into debt. In 1997 Z2K was registered as a charity and for the next 10 years Paul ran it as a volunteer, until funds were raised to set up an office and to employ staff. He also commissioned the Minimum Income Standards research from the Family Budget Unity in 1999, which was used by UNISON and London Citizens to help persuade Mayor Ken Livingstone to introduce the London Living Wage. We are very grateful to Paul for his continued support for the work of the Zacchaeus 2000 Trust, and the energy and passion he shows for everything that we do. You can read more about Paul here. We continue to hold true to our founding principles, challenging injustice in the tax and Social Security benefit systems and campaigning for change on issues such as disability rights, homelessness and the benefit cap. The abolition of the national system of Council Tax Benefit in 2013 and replacement by a postcode lottery of local schemes has resulted in a requirement for hundreds of thousands of low-income families to pay council tax for the very first time. This policy has brought us right back to our roots, as this ‘new poll tax’ on England’s very poorest residents is pushing some of those on the very lowest incomes further into poverty and resulting in threats to send in bailiffs to recover arrears.